152 - Heat Wave (Agfa Precisa CT in 135 Format) / August 7, 2018 by J.Z. Agfa Precisa CT @80. Nikon F3 HP, Nikkor 28mm f/2 AI-s. Tetenal Colortec 3 Bath. DSLR scan. Click here for more. Mini Project [Analog]: Developing Slide Film, Shot with Nikon F3HP on Agfa Precisa CT 100 / August 5, 2018 by J.Z. My first self-developed slide film. I have been wanting to do this for quite some time, but there is so much talk about how difficult the E6 process is, I didn't want to waste the film. But hey, so what. I used two rolls of the now extinct Agfa Precisa CT 100, which is some sort of repackaged Fuji Provia. Developed in Tetenal Colortec 3 Bath in a Jobo CPE-3 processor. Look at the yellow-brownish color shift on the screen shot at the end - obviously, I got the temperature wrong. Or was it the water hardness? (I corrected some of the color shift in Capture One). But again, so what. It was fun. Shot, developed and scanned all in a day. 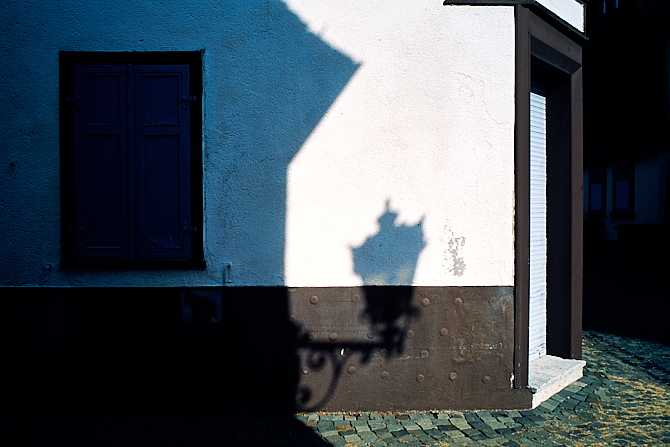 Shot with the Nikkors 105mm f/1.8 and 28mm f/2 AI-s on the F3HP at ISO 80 in Oberursel.